This article was originally published by SUZY KHIMM on January, 8 2018 at nbcnews.com. “The number of federal workplace safety inspectors has fallen under the Trump administration, according to new data obtained by NBC News, raising questions about the government’s efforts to protect workers and the long-term impact of the White House’s move to slow hiring. OSHA’s reduced staff reflects Trump’s broader effort to slow the growth of the federal bureaucracy and is a part of the mass departure of civil servants across the government, from the Internal Revenue Service to the Environmental Protection Agency. OSHA is one of the many federal agencies where hiring has stalled in Trump’s first year and mounting vacancies remain unfilled. Some worker advocates and former officials worry that staffing delays are undermining the work of a small but critical institution responsible for protecting the health and safety of American workers. Though the president has repeatedly stressed the need to shrink the federal workforce, OSHA has acknowledged in recent months that it needs more manpower to do the job. Since early October, the agency has hired “several additional inspectors” and is currently recruiting over two dozen more, according to Labor Department spokesman Eric Holland. (The department declined to specify how many new inspectors it has hired.) 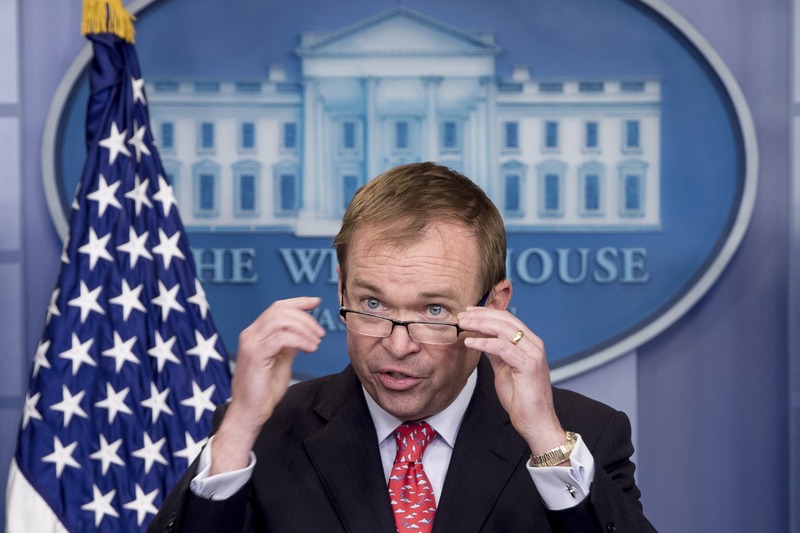 The new hires will “ensure that OSHA has the necessary personnel to carry out its important work,” Labor Secretary Alexander Acosta said in November. But, as with many other federal agencies, OSHA has faced headwinds in hiring in Trump’s first year: A government-wide hiring freeze; a push to reduce the workforce through attrition; proposed budget cuts; and deep uncertainty about future funding. That’s bogged down the hiring process in a bureaucracy that’s already notorious for taking its time, making it more challenging to staff up even when administration officials believe that new additions are warranted. Conservative advocates for smaller government say that it’s wise to consider whether more federal workers are truly necessary. 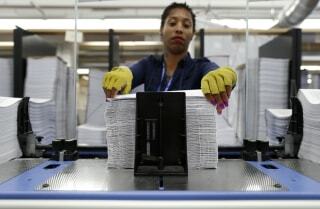 Rachel Greszler, a fellow at the Heritage Foundation, a conservative think tank, said that the administration is making a laudable effort to reduce “redundancy, waste and inefficiency” across the federal workforce while remaining adequately staffed. “This won’t mean slashing jobs immediately, but it will mean transitioning — through retirements, attrition and reassigning current employees — to a smaller federal workforce,” she said. By that measure, Trump has succeeded: The federal government had 16,000 fewer permanent workers at the end of September than it had at the end of 2016 out of a workforce of nearly 2 million, according to data from the Office of Personnel Management. During the same time period, OSHA dropped below 2,000 permanent, full-time employees, with 116 fewer total staff than in December 2016, according to the latest personnel data. But former agency officials are concerned that staff departures and hiring delays are coming at a cost to ordinary Americans. Under federal law, OSHA has a limited window of time to issue citations for health and safety violations — a time period that Trump and Congressional Republicans helped shorten by killing an Obama-era regulation in April. Trump has emphasized that he is making a deliberate effort to shrink the federal bureaucracy. “We are not looking to fill all of those positions. Don’t need many of them — reduce size of government,” Trump tweeted in August after being criticized for understaffing his administration. OSHA insists that its enforcement efforts have remained vigorous, even with fewer inspectors on the job. According to the Labor Department, the agency conducted 32,396 OSHA inspections from October 2016 to the end of September 2017 — a few hundred more than in 2016, marking the first annual increase in five years. But critics warn that the staff departures have crippled small, regional OSHA offices that were already short-handed. The southeast region — Alabama, Florida, Georgia and Mississippi — lost the most on-the-ground inspectors in the first eight months of the Trump administration, with 10 departures, according to data that the Labor Department sent in a letter to Rep. Rosa DeLauro, D-Conn., first obtained by NBC News. In Mississippi, which has one of the country’s highest worker fatality and injury rates, the number of federal OSHA inspections fell by 26 percent from Trump’s inauguration in January to the end of September, according to public data. Other federal offices in the region saw smaller declines in OSHA inspections during the same time period, ranging from a 5 percent drop in Alabama to a 1 percent reduction in Georgia. Debbie Berkowitz, who was an OSHA official in the Obama administration, attributed the drop-off in enforcement to staffing shortages. OSHA did not specify how many inspectors had left in each state, but, according to the latest personnel data, the agency’s Mississippi office fell to 14 from 18 full-time employees by the end of September. Clyde Payne, former head of OSHA’s office in Jackson, said he’s concerned about the risks to workers at Mississippi’s smaller shipyards and construction companies. “They really need close oversight because the ownership in those companies doesn’t likely have a dedicated safety staff to make sure they’re controlling their injuries and illness — they’re more likely to fall off the train,” Payne said. Not every area with fewer inspectors saw a decline in enforcement: In Wisconsin and Ohio, the number of federal OSHA inspections last year increased from Jan. 20 to the end of September, according to agency data, despite the loss of eight on-the-ground inspectors and two inspection supervisors in the region. The Labor Department said that hurricanes, not staffing shortages, were responsible for the decline of OSHA inspections in Southern states. Industry groups said they haven’t noticed a shift in OSHA enforcement under the new administration. But they also stressed that government oversight was not the key to protecting workers. By August, however, the Labor Department said it had more budget certainty and could “responsibly add inspectors that would likely be funded” through 2018, said Holland. 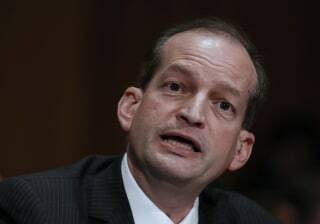 That month, Acosta said that he gave OSHA the green light to hire new inspectors “in an expedited manner,” he told lawmakers in November. But federal hiring is often a protracted process, and OSHA requires its inspectors to pass a medical exam, among many other requirements. As of Sept. 30, the agency had 54 inspection staff vacancies and still hadn’t hired any new inspectors. At the same time, the looming fight over federal spending could put further constraints on hiring at OSHA and other agencies. Though lawmakers never passed a full 2018 budget, last year the House proposed cutting more than $21 million from OSHA, and Trump wanted a $9.5 million cut. (The Senate proposal kept funding level.) This year, Republicans may push for bigger cuts across the federal government to offset the sweeping tax bill they passed in December, which added $1.5 trillion to the deficit. Even if agencies get the funding and approval to increase staff, last year’s hiring delays could continue to affect the federal government’s performance. Jordan Barab, an OSHA official under Obama, said that it typically takes months of training and experience in the field for agency inspectors to get up to speed.